Product information "Block Stripe Silk Tie - Navy / Brown - Handrolled"
Navy and brown block stripes in grenadine weave. Ideal with a green jacket, light blue striped shirt, kimono pocket square, honey bamboo braces and brown suede adelaides. 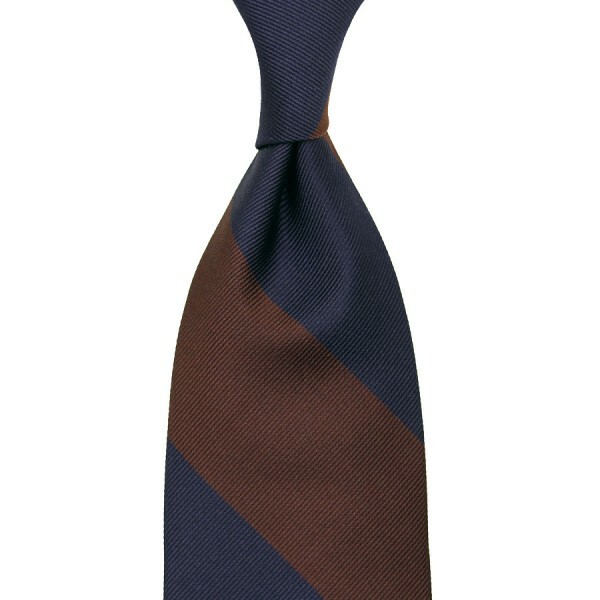 Related links to "Block Stripe Silk Tie - Navy / Brown - Handrolled"